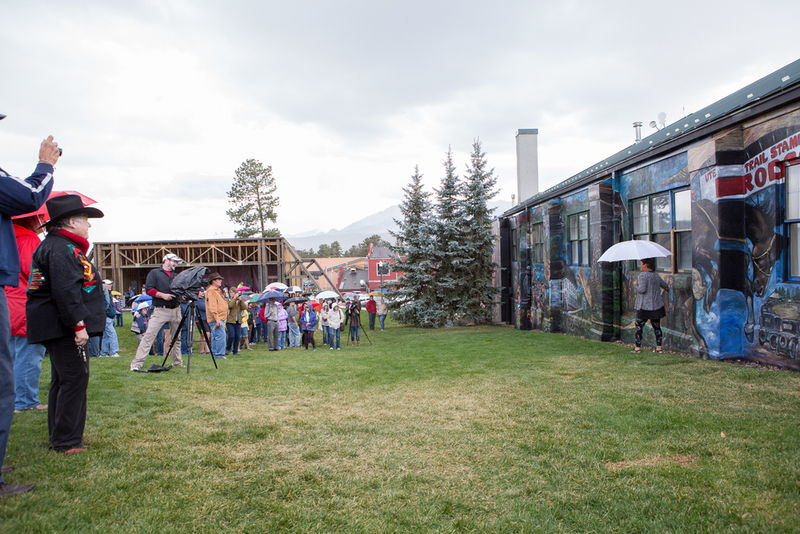 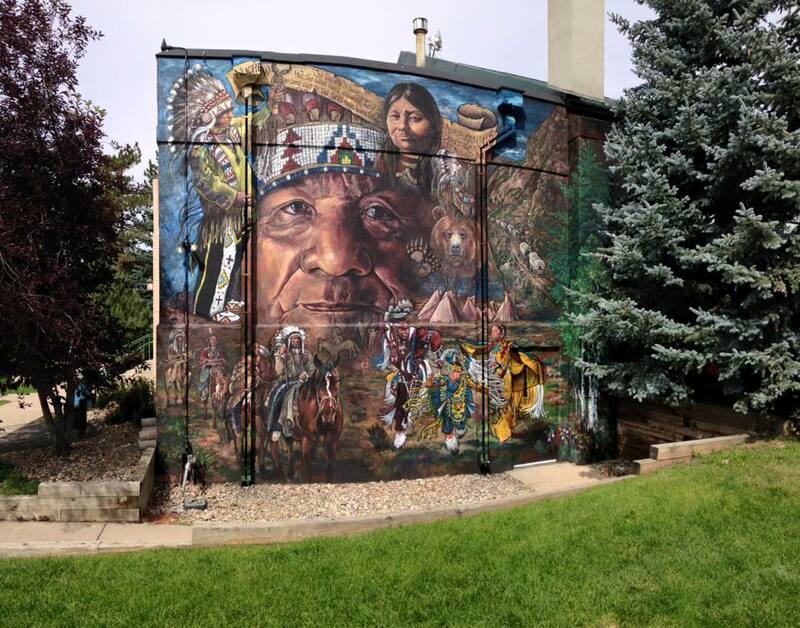 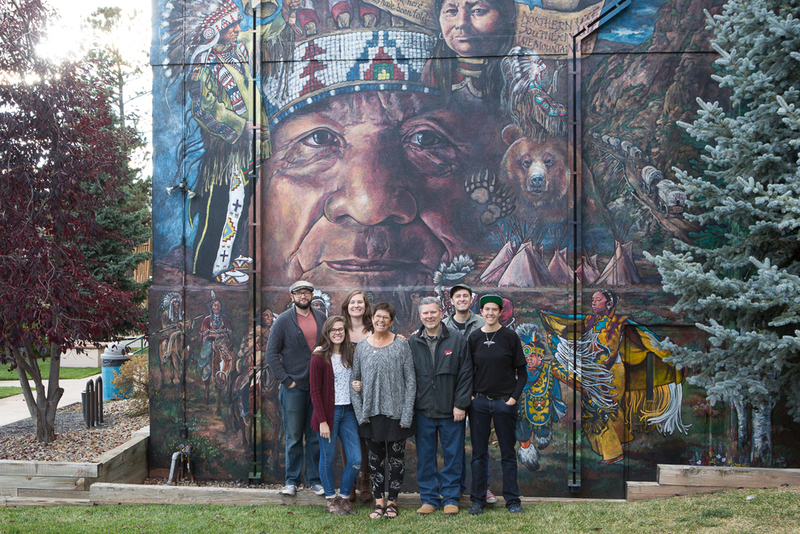 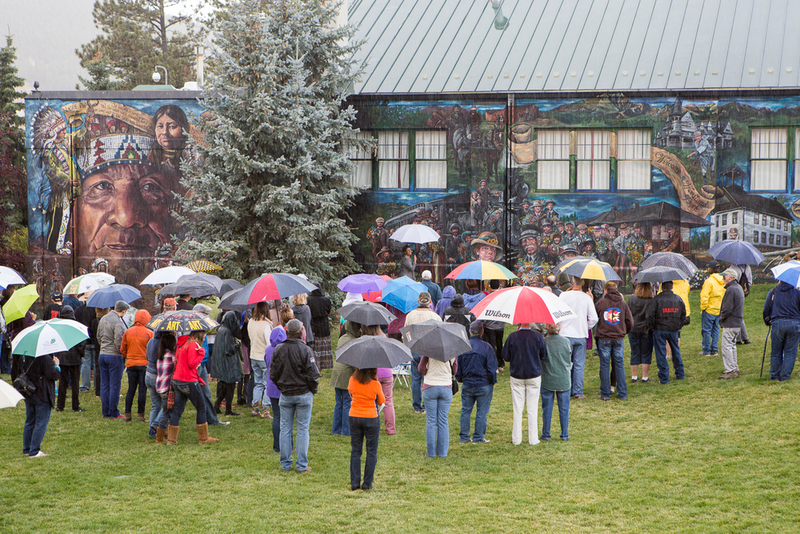 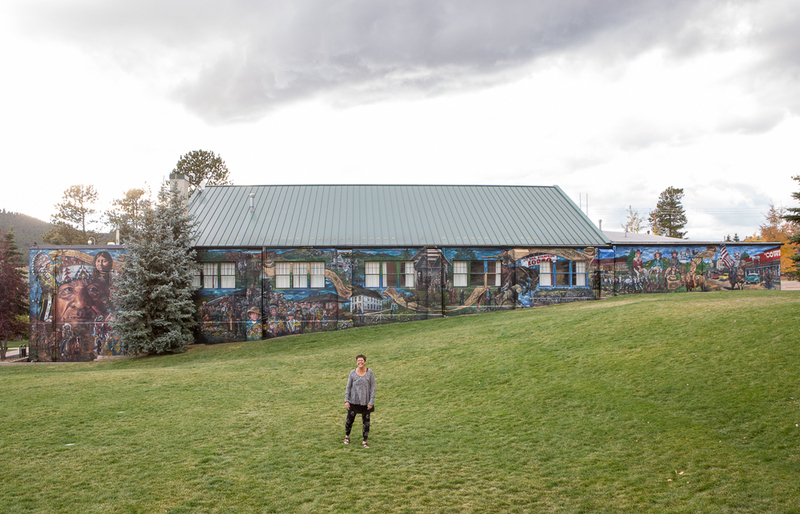 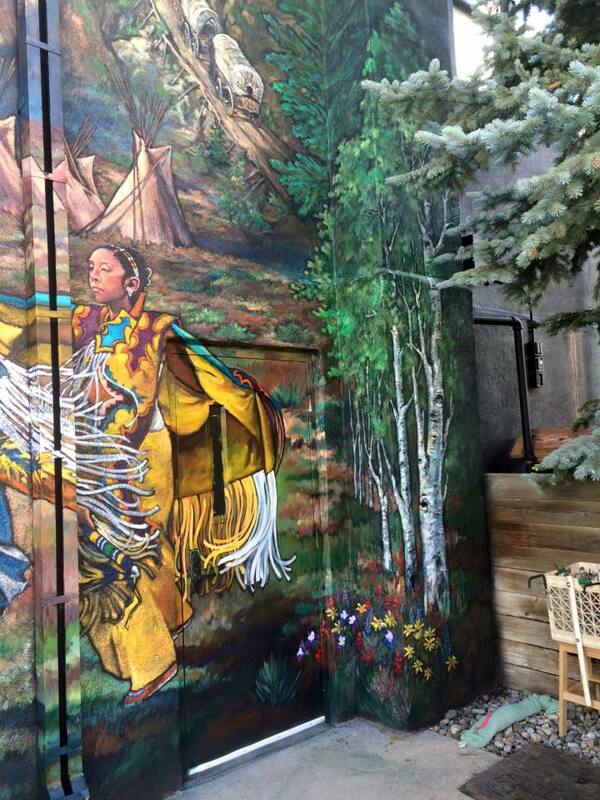 THE WOODLAND PARK HISTORICAL MURAL, OR "THE STORY OF US", beautifully REPRESENTS the history of the woodland park community, acknowledging and honoring the Ute Indians and early pioneers. 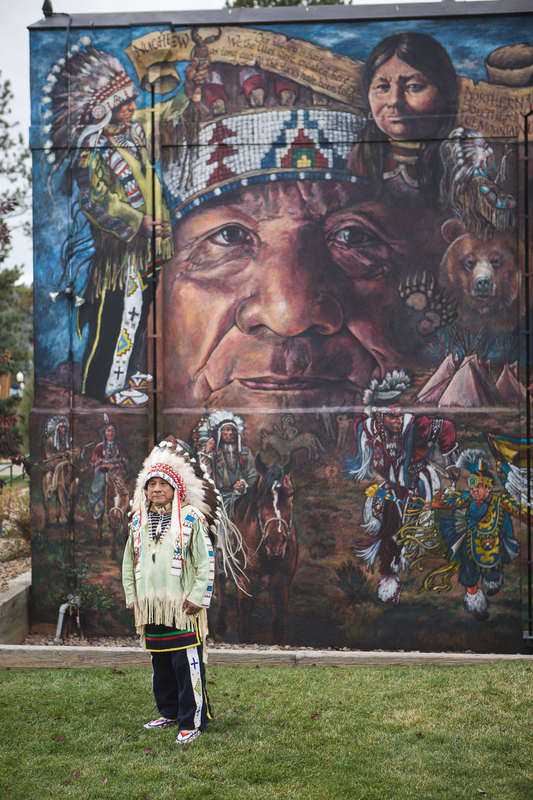 Taking four months to complete, the mural spans 145 feet in length. 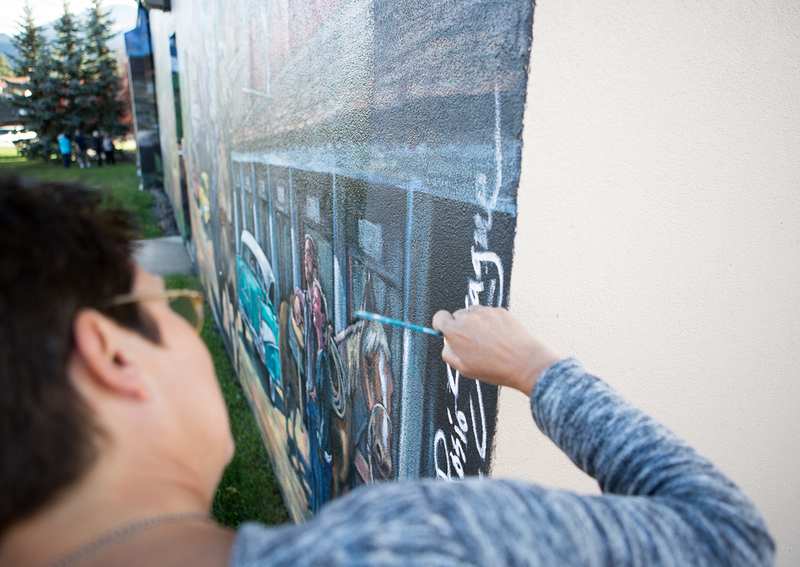 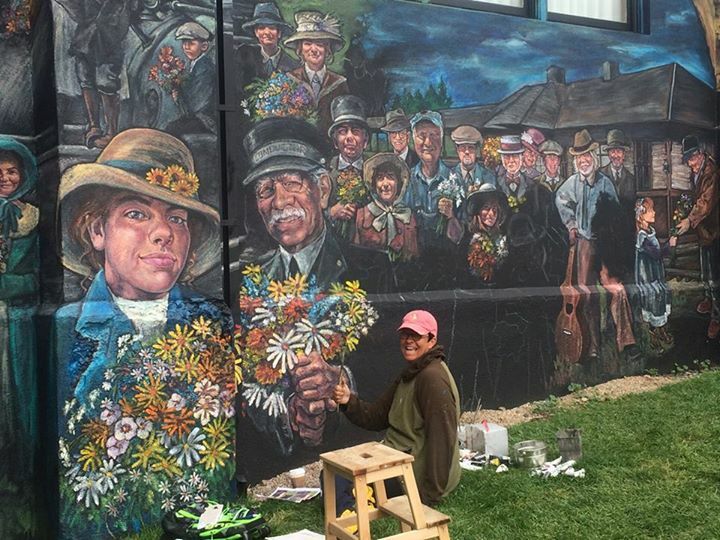 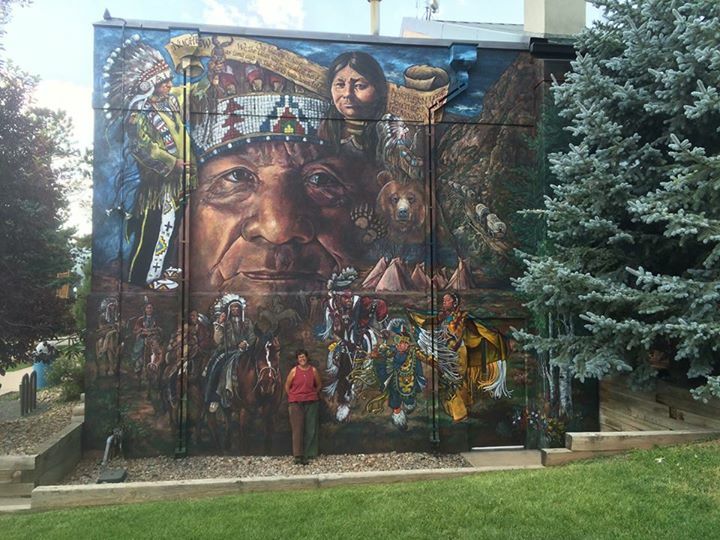 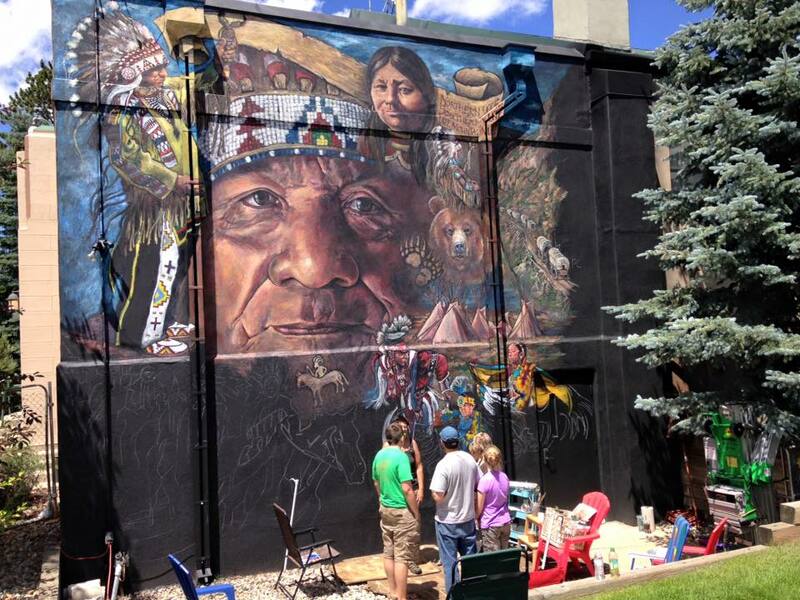 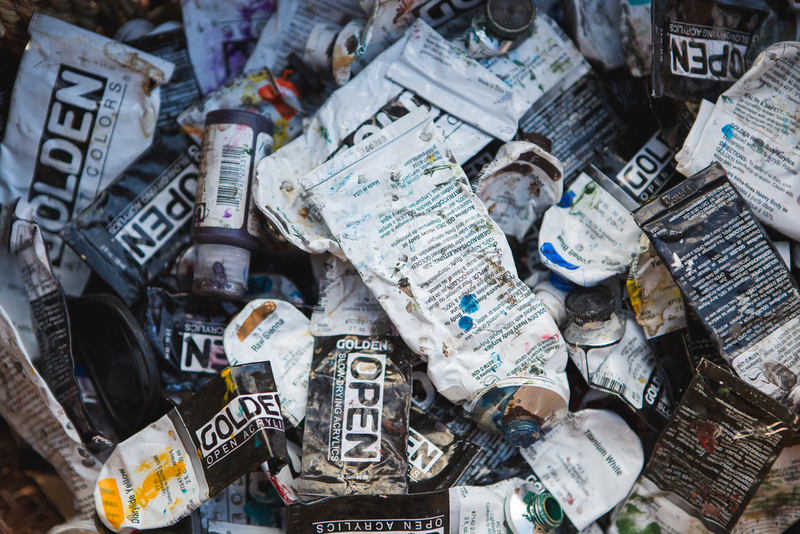 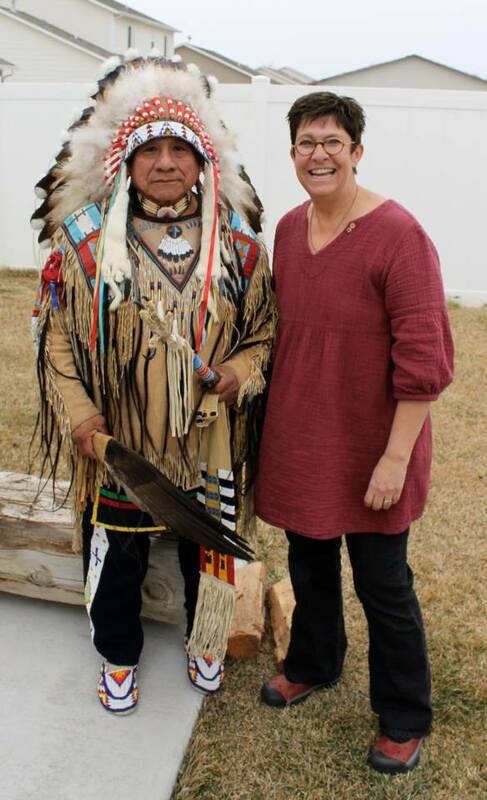 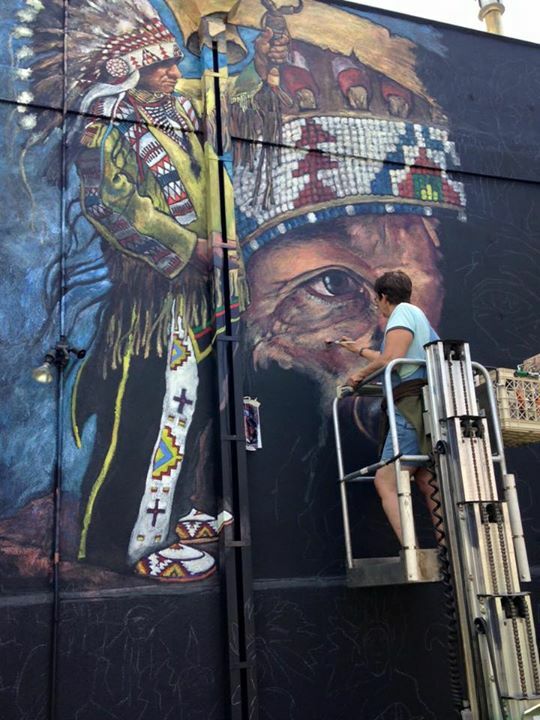 Lois worked closEly alongside UTE NATIVE Roland MCCOOK, to insure accuracy in the ute indian section of the mural. 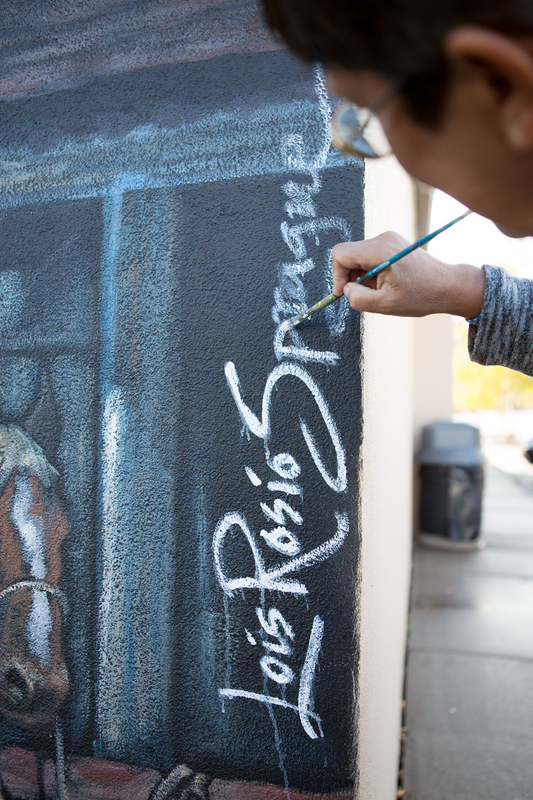 ROLAND HAS WORKED AS A HISTORICAL CONSULTANT FOR THE SMITHSONIAN. 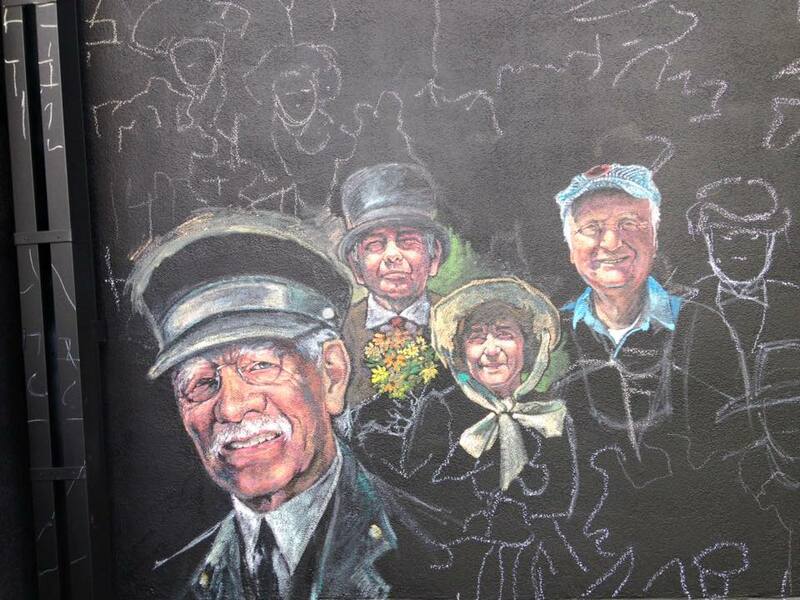 members of the local community were used as models for early pioneers and TOWNS PEOPLE. 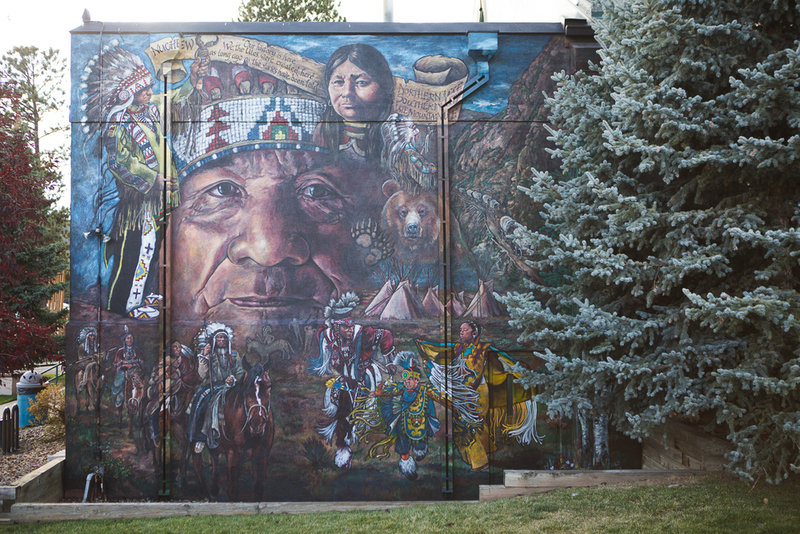 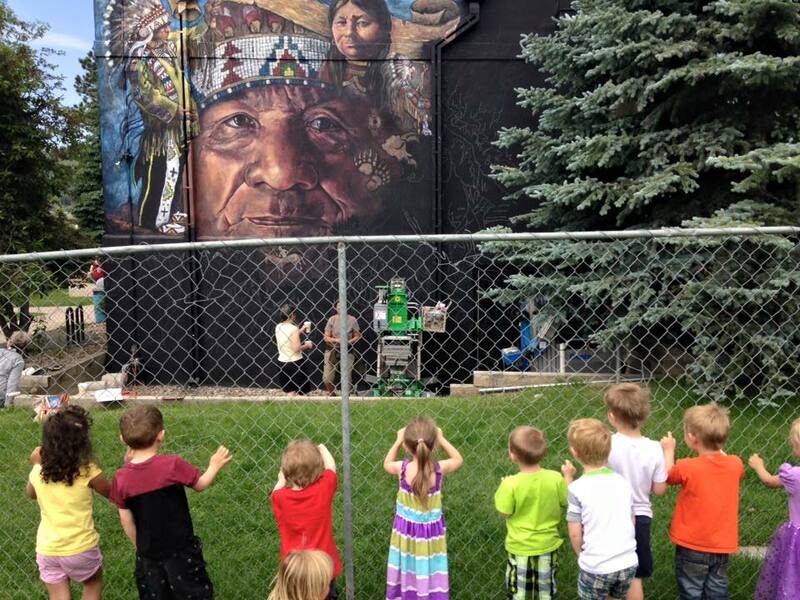 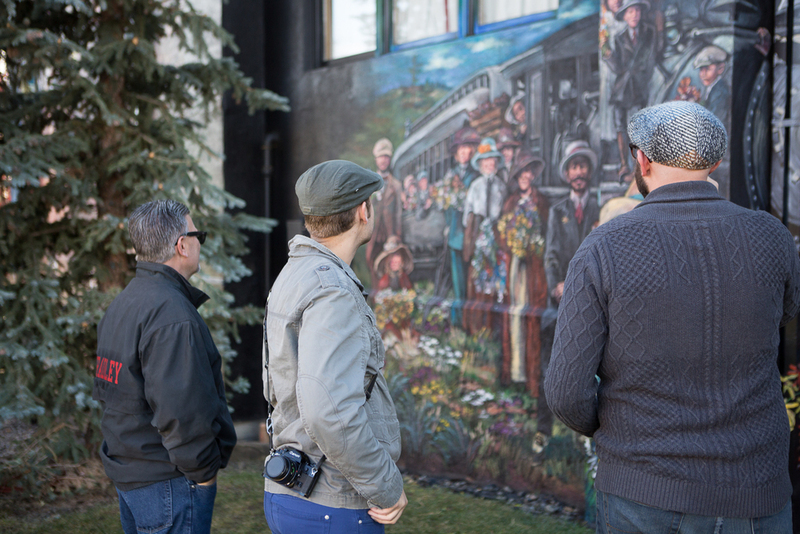 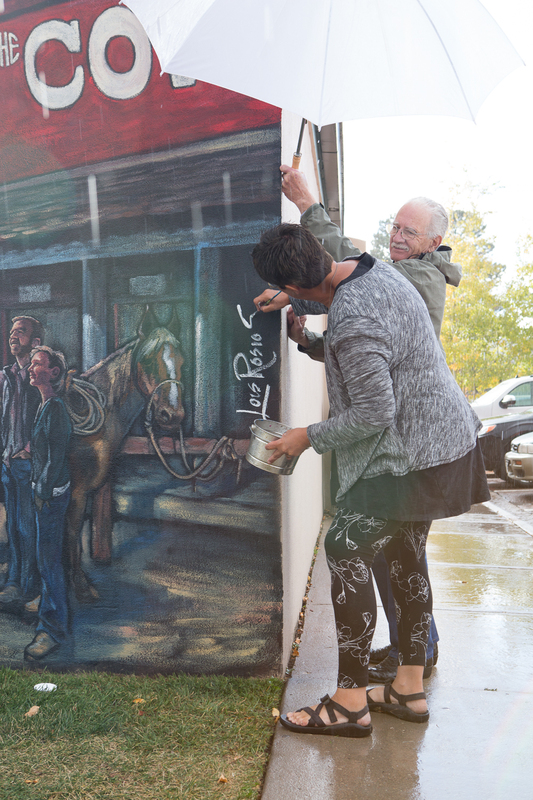 click here FOR more information on the woodland park historical mural.